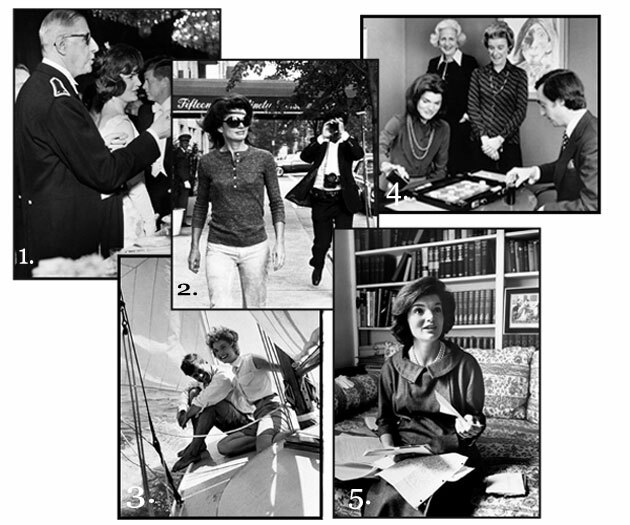 Oh Jackie, Jackie, Jackie O, will there ever be another icon like you? With Americans having recently inaugurated another generation-shifting, handsome young president with an accomplished wife and two small children, Camelot comparisons are inescapable. Tempering them, of course, is the grim reminder that the “one brief shining moment” of the early ’60s ended with an assassin’s bullet. For those of us born into Boomerdom’s first cohort, one memory we have on instant recall is how we first heard the shocking news of Nov. 22, 1963. I was in First Form (Grade 9) at Upper Canada College in Toronto when French master Louis Paichoux began our afternoon class by asking, “’Ave you ’eard dat Prez-ee-dent Kenn-e-dee ’as been shot?” There was a flurry of shocked chatter before teaching resumed. It didn’t occur to us that this “shot” could have been fatal — until an hour or two later when a PA announcement informed us that the U.S. president was dead and classes were over for the day. I needed a haircut and recall watching scenes of near-hysterical U.S. public grief on a black-and-white TV in a barbershop on St. Clair Avenue. The reaction in Canada was, naturally, more muted, though for young Canadians, JFK had generated the kind of excitement we would not find in our own politics until Trudeaumania five years later. When I returned to my UCC dorm room, I was told that a memorial service for President Kennedy would be held in the prayer hall following dinner. It was a sombre and untypically quiet group of UCC boarders (which included such future politicians as Perrin Beatty and Michael Ignatieff) that filed into the pews as my brother played Bach on the organ. “You realize what day that is?” Al asked. 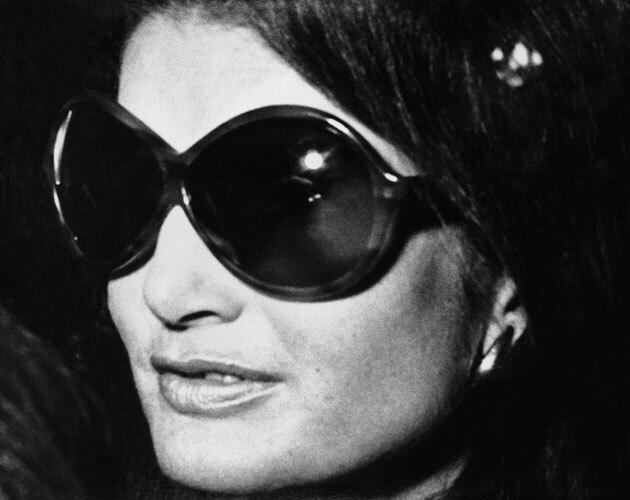 Al called Jackie’s assistant who told him that Mrs. Onassis would indeed be in the office on the 22nd, as she didn’t want that day commemorated, only the president’s birthday. I also learned that our meeting time had been switched to twelve noon. “Great,” I said, “that’s not only the day but also the hour it happened. Let’s be careful we don’t say anything inappropriate.” I summoned up Jackie’s elegant glare from snaps taken by stalking paparazzi like Ron Galella. I greeted Al in the foyer at Doubleday, and we both leafed through the fall publishing catalogues as we waited. We expected the receptionist to direct us to her office but then, suddenly, Jackie was there to greet us. There were no introductions. She seemed to know who we were, and we certainly knew who she was. “So, what are you reading?” cooed Jackie in that unmistakable voice. “We were just looking at the Doubleday catalogue,” we both rather stumblingly responded. 2. Followed by persistent photographer Ron Galella in 1971. Celebrities in person are rarely quite as one imagines, and Jackie was no exception. At 59, she was no longer the radiant beauty of the White House years — and without make-up and under the office’s fluorescent lighting, her age was undisguised. Her hair was also a rather lighter tone than the familiar auburn and she was casually dressed in a turtleneck and checked slacks. As she toyed with her pearl clasp earrings, her manner was that of an East Side society matron amusing herself with a job in publishing. “Now who is that nice man we have to speak to when we want to get something published around here?” she called out to her assistant at one point. with the work of those who were writers and artists. As we described the book, we both experienced Jackie’s famous “lighthouse look” — the rapt, fixed gaze that made people feel as if what they were saying was of the utmost interest. I couldn’t help thinking that this was the same look that had dazzled Khrushchev and Nehru and turned de Gaulle to gelée. (“That’s JFK Jr. she’s talking about!” flashed into my brain.) Her son was then America’s most eligible bachelor and, for a split-second, I thought of quipping “Yes, there are a lot of people who’d like to put him on their laps,” before wisely refraining. “I hated it when Jackie used that voice!” exclaimed Nancy Tuckerman as we walked through the museum at the John F. Kennedy Presidential Library where Jackie’s 1962 White House tour was playing continuously on video monitors. In May of 1996, Nancy and I were on lunch break from doing research in the JFK presidential archives upstairs. 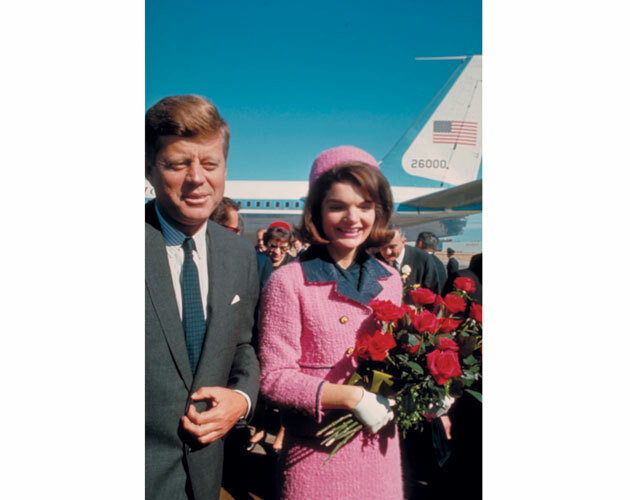 As Jackie’s lifelong friend and aide, Nancy had caused us to be very warmly received at the library and staffers had scurried to bring us research files for a book to be called In the Kennedy Style. Jackie’s death two years before had spurred a flood of published remembrances, and Madison Press had managed to score Nancy as the author of a book about the legendary evenings of the Kennedy era — from the night Pablo Casals played the cello, to the dinner for the Nobel laureates. Jackie’s famous French chef René Verdon had agreed to contribute menus and recipes. The Jackie “voice” that Nancy found so annoying was the breathless “little girl” one she affected for TV — not the upper-crust inflections that Nancy herself shared. This now-vanishing accent was seemingly once common among the girls at Miss Porter’s School in Farmington, Conn., where Nancy, then known as Tucky, had been Jackie’s roommate. Nancy would later become one of Jackie’s bridesmaids, her White House aide and then faithful assistant during and after the assassination. Jackie bridled at life in this goldfish bowl. “I have suddenly realized what it means to completely lose one’s privacy,” she wrote to her press secretary shortly after the 1961 inauguration. She would spend most of her life trying to regain it. While in Washington, I had tea with Letitia Baldrige, Jackie’s former chief of staff and social secretary. A larger-than-life Washington figure, Tish is patrician yet ebullient, gracious but full of infectious laughter. Another former schoolmate of Jackie’s, Tish ran the East Wing and stage-managed much of the Camelot magic. 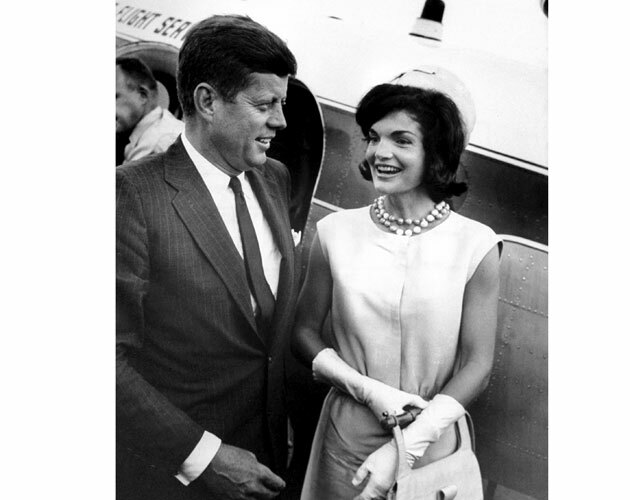 She described the unprecedented public interest in Jackie during their first months in the White House when letters and gifts poured in by the vanload. Tish was quick to tell me that it was during the Kennedys’ state visit to Canada in May of ’61 that Jackie’s star quality was first seen abroad. The Canadian ambassador in Washington had met with Tish beforehand to warn her that Canadians were undemonstrative and that even the Queen was a trifle disappointed by the cool reception she received in Canada. But when the Kennedy motorcade drove into Ottawa, it was greeted by large crowds, and chants of “Jack-ie!, Jack-ie!” Governor-General George Vanier and his wife were dumbfounded. Jackie wore a red wool suit, which worked perfectly for photo ops with red-coated Mounties; her husband planted a tree at Rideau Hall and threw his back out in the process. He reportedly disliked our then PM, John Diefenbaker, preferring his successor, Lester Pearson. My meeting in Washington with Tish was more fortuitous than I knew. Some months later, after we had secured a successful sale for In the Kennedy Style to Jackie’s former employer, Doubleday, Nancy Tuckerman withdrew from the project. A gossip columnist for Town & Country, the bible of the social set, had run a small squib about Nancy joining the long list of Jackie’s friends who were now “squealing” on her in books. A deeply upset Nancy explained to me that, in her last days, Jackie had said, “Well, Nancy, at least I know you will never do a book about me.” Despite my efforts to persuade her that this was hardly a tell-all book, Nancy was resolute. In despair, I telephoned Tish who eventually agreed to become the author of the book. She proved to be great fun to work with and a marvellous fount of Camelot stories. At one point, I described my 1988 meeting with Jackie and asked if she was really as, well, flaky, as she seemed. Tish replied that Jackie was anything but a flake, that she was very astute, sophisticated, a good judge of people — and a wicked mimic. She thought that Jackie must have been on auto-pilot during that anniversary day. 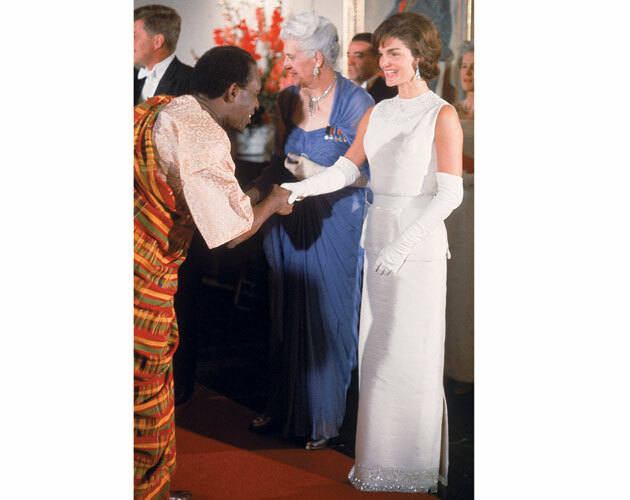 I suspect, however, that Tish would not have found anything unusual in Jackie’s slightly artificial manner — it was not uncommon for women of her generation to don a contrived social persona to go along with the hat, handbag and gloves. Tish did confide, however, that Jackie was rather spoiled and sometimes difficult. She recalled how she often had to call on Lady Bird Johnson (whom she dubbed “Saint Bird”) or another of the Kennedy women to stand in for Jackie at the last minute. Jackie was passionate about projects like restoring the White House or persuading France’s culture minister André Malraux (for whom she had a special sparkle) to lend the Mona Lisa to the National Gallery of Art. But she found many other First Lady duties to be tedious — particularly the endless receptions for groups of women. The tireless Tish knew that Jackie was a huge asset to the administration and there was a constant tug of war between her office and the private quarters upstairs. Tish became known as Miss Push-and-Pull and, by early ’63, her relationship with Jackie had become so strained that she gave notice and departed in June. Only a few months later, however, Tish would return to a deeply solemn White House to help out with planning the president’s funeral. She was even asked to choose his coffin and annoyed the undertaker by choosing a mid-priced one, knowing that it would always be covered by an American flag. Discussions of the Kennedy legacy and the might-have-beens about his presidency are unending. Would JFK have avoided the quagmire of Vietnam? Without the Vietnam war would the ’60s counterculture that so influenced a generation have flowered? Would the thousands of draft resisters that poured into Canada have stayed home? Many believe that this era nudged Canada’s politics to the left but caused the U.S. to later swing to the right.